We all know that participating in an exhibition is probably one of the best ways to improve and enhance your business. It gives an opportunity to interact with your competitors in the market and also lets you meet new prospects and buyers. When you participate in an exhibition or a trade show one of the most important and key factors to keep in mind is to choose an exhibition stand that can stand out in the event and ensure that your participation results in fruitful returns. 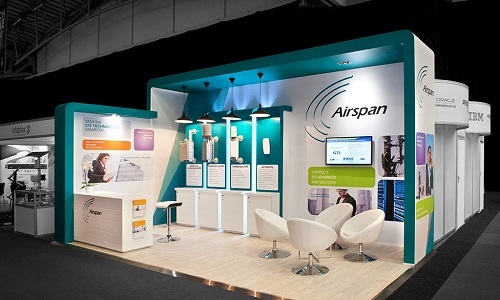 An exhibition stand should be something that can reflect a brand values and can also help in attracting new customers. You have to make sure that your exhibition booth stands out In order to create a very positive impact. Your exhibition stand in a way will communicate your brand essence and your brand reputation in the market and you have to make sure that it does so in a positive way. And while all of this is important one of the most important things that many of us neglect is to ensure that we have an exhibition stand that is sustainable and will have a long life. We have noted down some important pointers that you need to keep in mind before purchasing or customizing your exhibition stand. While this may sound exhausting and will occupy some of your time it is important to do so. When you analyze different companies that offer exhibition stands in Dubai you will be at a better position to decide and choose which company is correct for you. You will get an opportunity to view Different varieties of exhibition stands. Besides this another important factor is that you can be able to choose companies depending upon the budget and evaluate the different pricing in costing provided to you by various companies in Dubai. You need to choose wisely the right expo stand builders in Dubai. You also need to remember to check out your company’s work portfolio. This will give you a better understanding about their past experience and whether or not the company is experienced enough to customize an exhibition stand as per your needs and requirements. You can also check out customer testimonials and visit different social media platforms of the company to find out what people think about their work. Today there are different materials available in the market that you can choose when constructing your exhibition stand. However you need to keep in mind the kind of material that will suit your needs and requirements and moreover the environment in which you plan to conduct or participate in an exhibition. This plays an extremely important role in ensuring that your exhibition stand has a long life. You can check out some of the best exhibition stand makers of Dubai here.